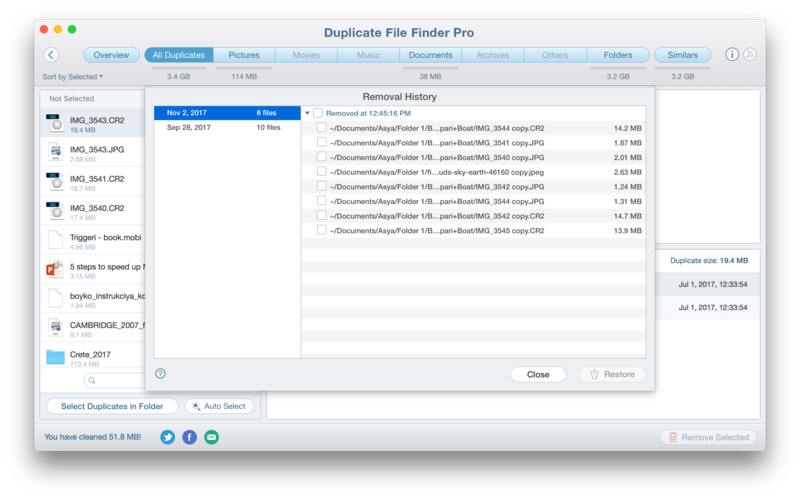 When you remove duplicates with Duplicate File Finder, by default the application moves all these files to Trash. If you have removed some files by accident and would like to restore them, follow the steps below. Go to the Menu Bar → Duplicate → select Restore Removed Duplicates or use Command+Y shortcut. Select the files you want to restore using the checkboxes of files and groups of files. Then click the Restore button. Please note, If the duplicates are deleted from the Trash, you will not be able to restore them. It is possible to restore only the files, which are stored in the Trash folder or have duplicates in other folders. You can the note next to each file name whether it is Restored, Restorable or Not Restorable. Moreover, to be able to restore the duplicates, the option Log Removed Duplicates has to be enabled. You can check it in Preferences → Remove tab. 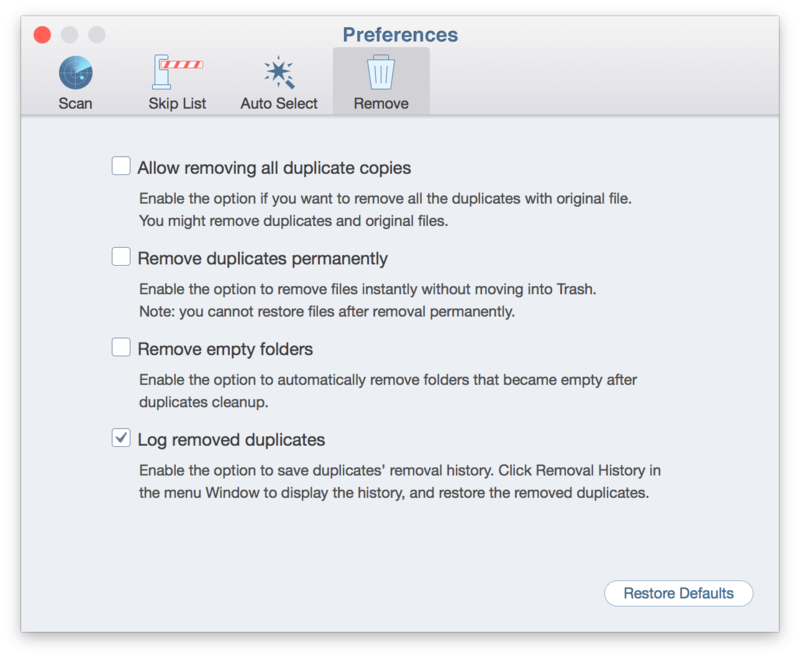 Tick the checkbox to always save your duplicates’ removal history.